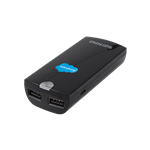 Ideal for the business traveller, it features four USB charging ports as well as a Type C connector to allow devices to charge simultaneously. 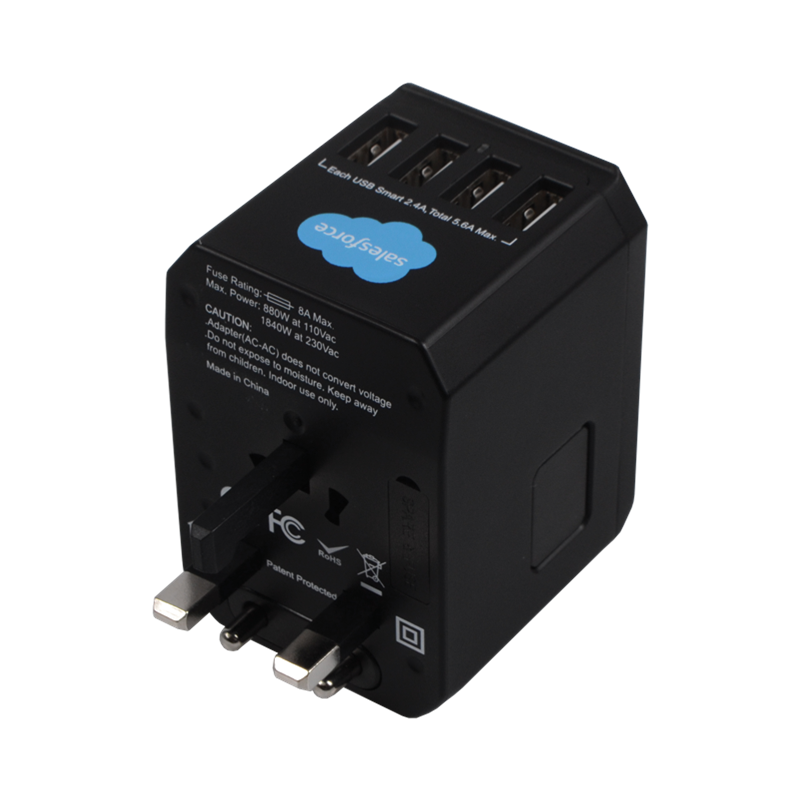 Compatible in over 150 countries worldwide. 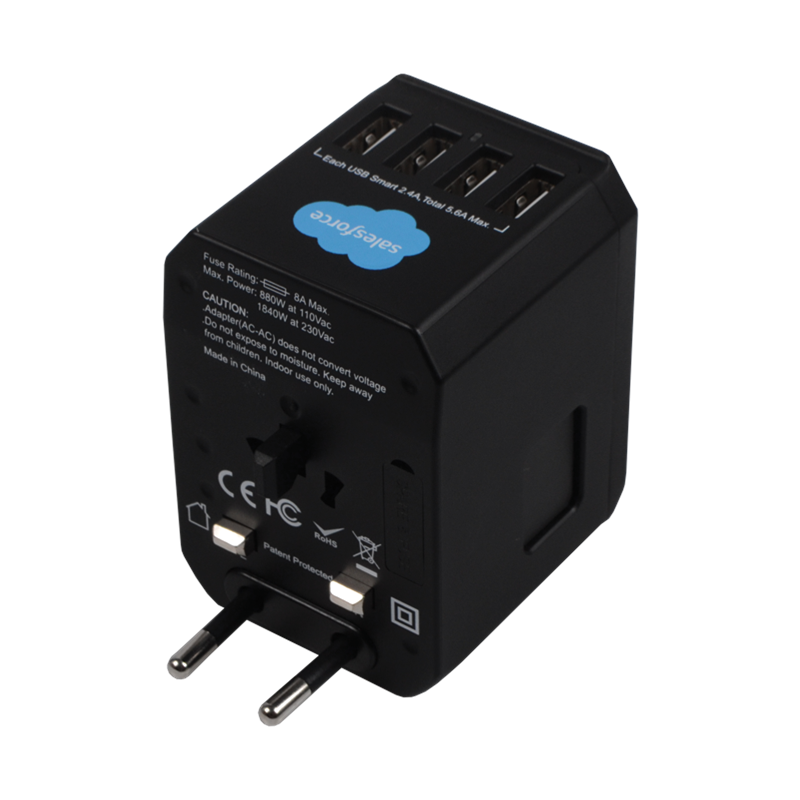 An all-in-one piece design. 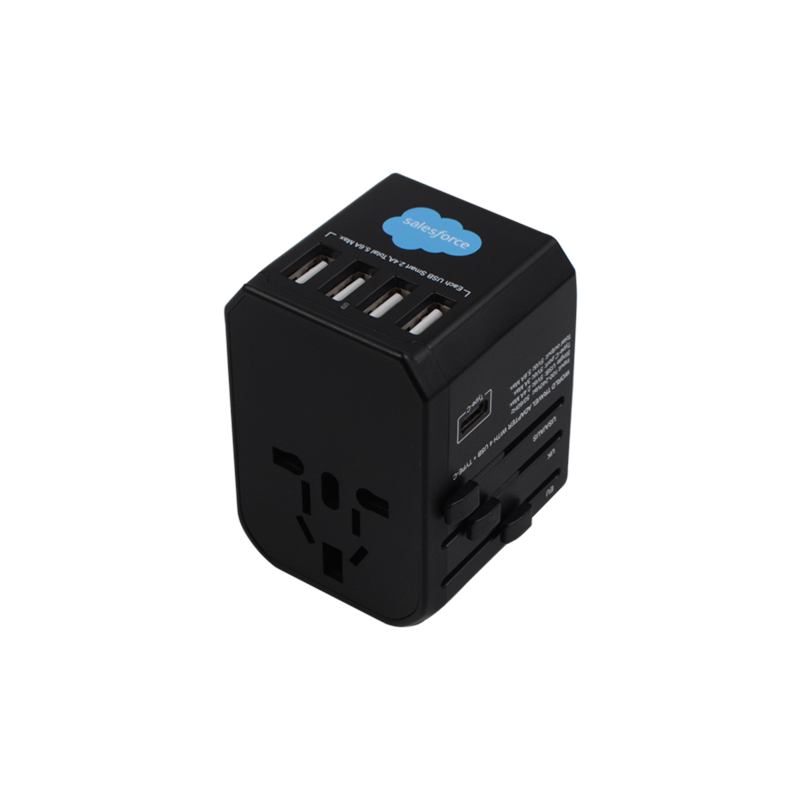 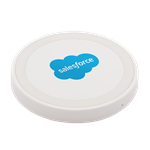 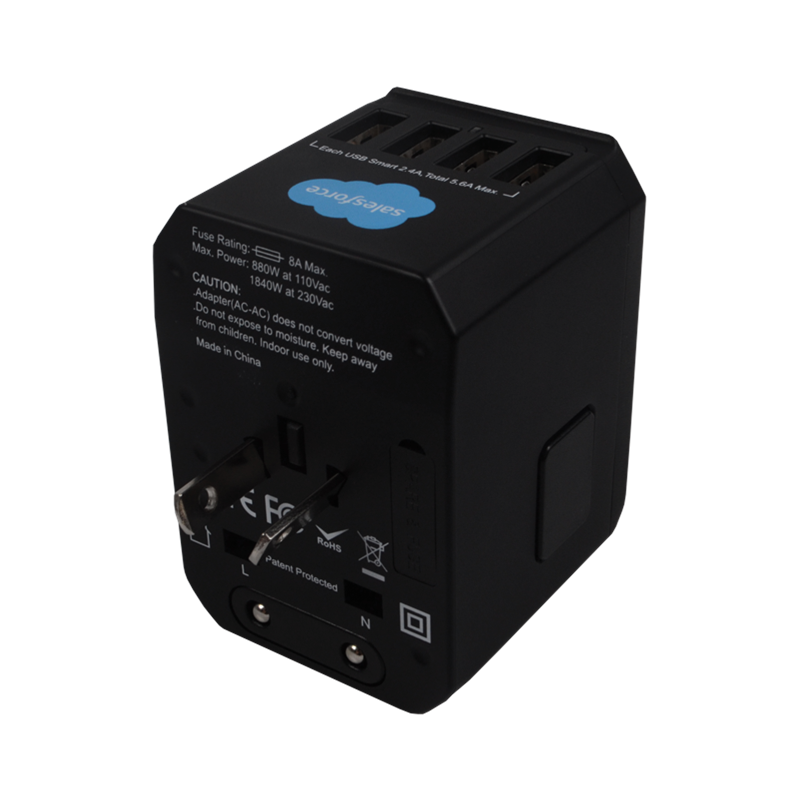 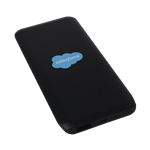 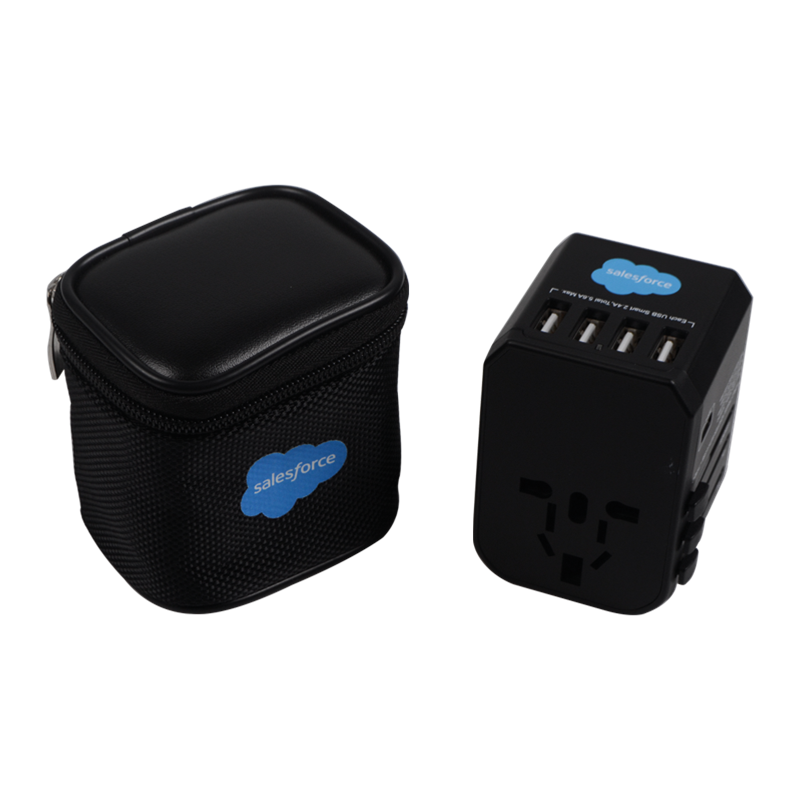 The Salesforce Cloud logo is printed on the front of the adapter and also to the pouch.